Using the open internet without necessary precautions exposes you to a myriad of privacy and security risks. Most cybercriminals, the government, your ISP and other prying eyes such as advertisers are more concerned about your information. in a nutshell, they seek to violate your privacy. After implementing security, the next thing you should take care of is your privacy. For a long time, there has been a debate which is the best tool to ensure you remain private, Tor or VPN. To end to the discussion, why not try both at the same time? A VPN is a service that uses encryptions and protocols to make sure your internet traffic is safe from prying eyes. Due to the strong encryptions used, even the government and your ISP won’t be able to spy on you. 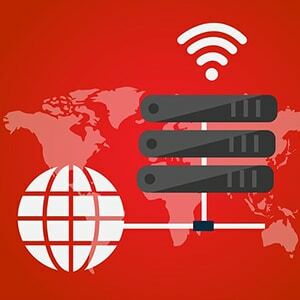 A VPN also makes sure your privacy is intact by assigning you a virtual IP address when you connect to the internet. Anybody monitoring/tracking you will end up at the VPNs doorstep. A reputable VPN has zero log policy, and this further ensures your activities are not logged. A VPN also has accrued benefits such as accessing geo-restricted sites and contents. Tor is an anonymity network. When you use Tor, your internet traffic is encrypted and then anonymized by being passed/bounced over more than seven thousand nodes in the free Tor network. All this is done in a successive random manner, and when your traffic reaches the internet, the source of your data won’t be known, only the address on the exit node is revealed. If someone decides to track you, he/she will end up at a dead end in one of the relay nodes. Due to this high anonymization, Tor is capable of concealing your privacy from traffic analysis and surveillance. Similar to a VPN, it’s difficult to know the web activities of a particular user. With Tor, you can also access blocked sites and also Tor specific sites known as onion sites. The main disadvantage of using Tor is that most sites will know you are using the anonymizing network and ironically you can be blocked from accessing their services. On the other hand, with a reputable VPN, even government watchdogs won’t know you are using a VPN. This is because most VPNs scramble data by using obfuscation; they make VPN traffic appear as normal traffic. Also, most sites don’t block VPNs as they only look at the IP addresses. Also, the Tor entry node will know your real IP address, and if it’s compromised, then your privacy is also compromised. When using Tor over VPN, you get an extra layer of privacy/security, and hence the entry node won’t know your real IP address. It will relay the VPN traffic instead. Also, when using a VPN, your ISP won’t know you are using Tor. You will still be able to access Tor sites since you are using the Tor network. 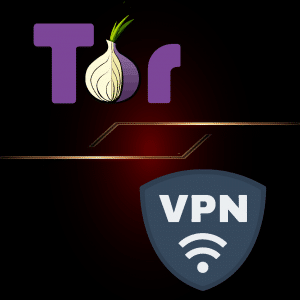 However, there are a few disadvantages of using Tor over VPN; first, you must use a reputable VPN, its all about matters of trust or else the amount of privacy you will be getting won’t be of help. Secondly, similar to just using Tor, you might end up with a bad exit node.